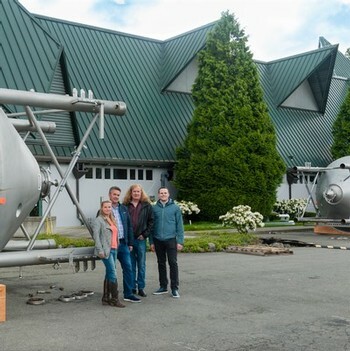 DeLille Cellars, a pioneering Washington State winery, today announced that its new three-level tasting room and retail tower at the former Redhook brewery in Woodinville’s Hollywood District will open in the fall of 2019. This expansive space will provide a variety of experiences, including seated tastings, tours and a wine club rooftop deck with views of the Sammamish Valley and Mount Rainier. DeLille’s adjoining winemaking facility has been in operation since January when the winery build-out was completed.